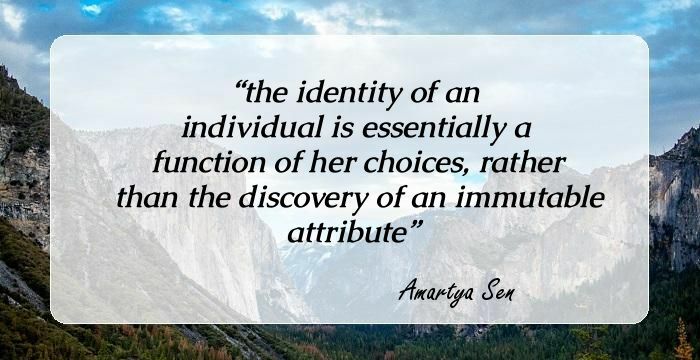 17 Impelling Quotes By Amartya Sen The Man Who Helped Revive Economies. 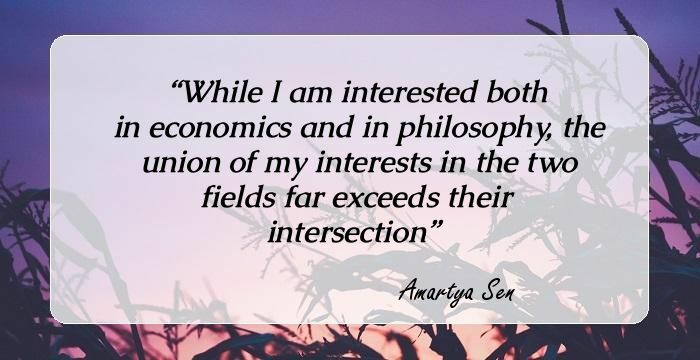 Nobel laureate Amartya Sen is well known for his contribution to the development of the concept of Micro Economy.Here are some interesting trivia about the life and works of the eminent economist. 1. Though he was born in Manikganj (a place in modern-day Bangladesh) he grew up in the campus of Viswa Bharati University, Shantiniketan, West Bengal. 2. His mother was a part of Rabindranath Tagore's dance-drama troupe and it is said that Gurudev himself christened the young boy. 4. When he was offered a Prize Fellowship at Trinity College, Sen chose the discipline of Philiosophy as he wanted to study the works of great philosophers and scholars like Karl marx, Adam Smith and G. B. Shaw. 5. Sen is a champion of gender equality; in his papers one can notice the use of she/her more than he/him. A society can be Pareto optimal and still perfectly disgusting. A defeated argument that refuses to be obliterated can remain very alive. Unceasing change turns the wheel of life, and so reality is shown in all it's many forms. Dwell peacefully as change itself liberates all suffering sentient beings and brings them great joy. Resenting the obtuseness of others is not good ground for shooting oneself in the foot. If a theory of justice is to guide reasoned choice of policies, strategies or institutions, then the identification of fully just social arrangements is neither necessary nor sufficient. Nor let us be resentful when others differ from us. For all men have hearts, and each heart has its own leanings. Their right is our wrong, and our right is their wrong. While we cannot live without history, we need not live within it either. The Affluent Society not only changed the way the country viewed itself, but gave new phrases to the language: Conventional wisdom, the bland leading the bland, private opulence and public squalor. There are two principal approaches to secularism, focusing respectively on (1) neutrality between different religions, and (2) prohibition of religious associations in state activities. On being invited to the Jaipur Festival, I was naturally nervous about attempting an opening address to such an elite gathering.